The Emma Social Center is organizing a feminist gathering in Kaunas, Lithuania between 24-26 of August 2018. Their call for participants and activity proposals can be found here: https://feminismineasterneurope.wordpress.com/. LeftEast Femineast editor Alexandra Ghit talked to them briefly about the Center, inter-sectional feminist political organizing, the worrisome situation in Eastern Europe and their hopes for this gathering and a larger Conference they are planning to organize in 2019. Can you tell me more about the “Emma” feminist group in Kaunas? The Emma Social Center is named after Emma Goldman, who lived in Kaunas in her youth – this is a little known fact. We were not able to identify the exact place where she lived, but wanted to emphasize this historical fact and highlight the legacy of Emma Goldman in relation to left, anarchist and feminist struggles. And the Center’s name is meant to evoke it. Kaunas is the second largest city in Lithuania, it’s a post-industrial city, with some fragmented history of the left organizing. 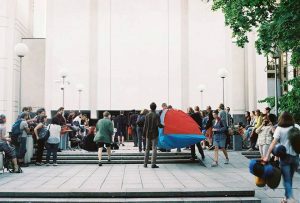 The Emma Social Center emerged out of a solidarity network which formed during the protests against the new Lithuanian Labour Code, which occurred in 2016. 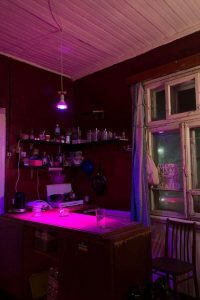 At the time, protest organizing and solidarity actions were planned out of the already-existing Green House squat, and some of the people in the group ended up forming Emma. 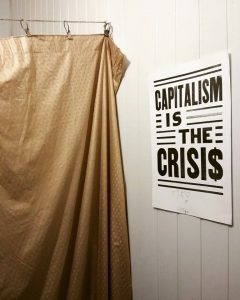 In 2016, people around the Green House squat together with other activists and some representatives of Labour Unions initiated protests against the new Lithuanian labour code. The Labour Code was about to be hyper-liberalized and actually the protests managed to push out the 0 hour contract. 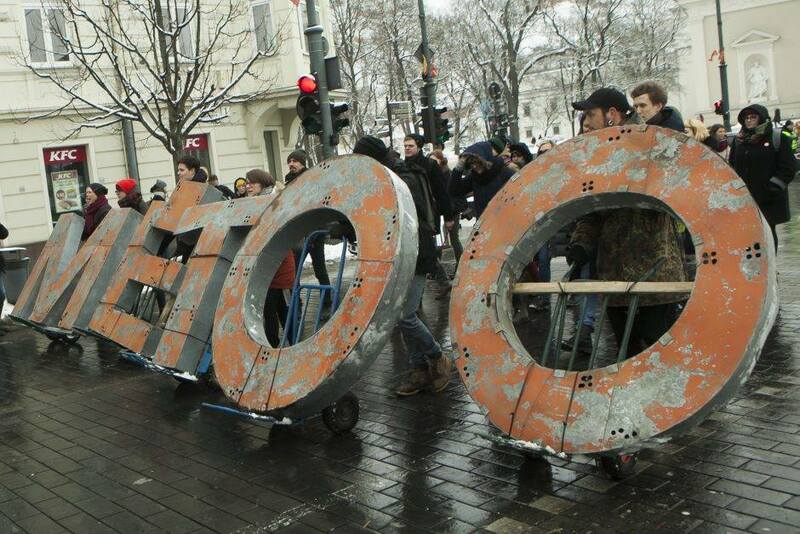 The president vetoed the new Labor Code and some institutes of the code were changed due to the demands of the movement. After the protests we began workers’ Solidarity Network to continue to organize around labour issues. It began with a friend of ours who demanded higher wage at a local restaurant. Then another friend tried to organize a union in his workplace and was laid off. We showed solidarity with them by organizing direct actions in the restaurants, also by protesting in front of their restaurants and putting up posters all around town. In parallel with the activities of Solidarity Network we found social center “Emma” because at the time we didn’t have any place for meetings or consultations with workers. Also we started issuing our Lithuanian language “Life is Too Expensive” [or “Life is Too Precious”] broadsheet. We distribute about 200 copies of each edition of this occasional broadsheet, and we also upload it online (https://gyvenimasperbrangus.net/plakatai/). Now we even put workers horoscopes and crosswords in it. Lately, we published a Guide to Workers Rights, creating a Russian language version, because there are a lot more Ukrainian labor migrants in Lithuania since the beginning of the conflict there. Were you part of this solidarity network especially as materialist feminists? Everybody does everything-in 2014 and now. We don’t see any tension in organizing with our male comrades. We are a small collective, mostly made up of men. So there weren’t too many occasions for the organizing work to become very gendered. Plus, as feminists, we were quite aware of how precarious and feminized the service sector was, for example. In reality, everything overlaps. We all understand quite well that issues in workplace are a part of capitalist relations based on production of difference regarding gender, race and class. Organizing in mixed-gender collectives, with attachments to both feminist and labour causes can sometimes be tricky- or it has been tricky so far in many places. How intersectional can struggles be in your collective? We have never genuinely had serious issues around this. Both men and women in our collectives consider themselves feminists. We take this seriously. 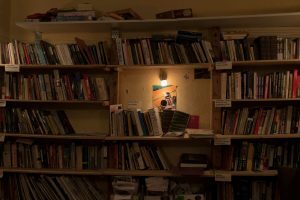 When we had to deal with a person whose behavior felt threatening to several of us in the collective, we went away for a few days, and really put our heads together about how to deal with this in a way that was not brutal but which made a point. So we ended up banning this person from the Center for half a year, the reasons for which we explained in a careful letter. We saw this as work we had to do as a collective. The main questions you pose for those interested in participating in the meet up this summer are: How do we talk about gender, about feminism in our societies in Eastern Europe? How do we protect and improve the situation of all those being attacked by neo-conservatism? What are the new challenges in organizing against new and old right wing? What can we learn from past feminist movements and how can we expand and strengthen our current resistance? What kind of answers would you sketch for these questions now? We increasingly feel the weight of the radical right wing wave in Europe. Lithuanian politicians are attempting to mimic Hungarian and Polish government rhetoric, defending what they call true “European values“, based on nationalist agenda and conservatism. Dangerously, as is also the case with Fidesz and Law and Justice parties’ politics, Lithuanian Peasants and Greens are attempting to use the demographic schtick for incentivizing the attack on women’s rights. While in Lithuania we still have the right to abortion, there are constant attempts to outlaw it. We came up with this idea for an international workshop that would lead to a conference because we felt we needed to do something about it. In Lithuania, people who organize as feminists and around labor issues are blamed by practically, the same group of conservative right wing actors, for a number of “evils”. Like feminists in Poland, we get called “genderists” for defending LGBTQ rights, we get called “useful idiots” and suspected of spying for Russia when we organize for labor rights or against militarism in Lithuania. (Mind you, NATO presence in Lithuania is practically an untouchable issue!) This happens to all people on the left, but has happened in tangible ways to members of the Emma collective – we were interviewed by the security services, allegedly due to their concerns for “our own safety”, about our newsletter, our contacts with Russia, why we protested against plans to re-introduce mandatory conscription in Lithuania etc. But feminist and progressive organizing is seen not only as foreign, but as unnecessary. There’s this whole femocracy wave happening in Lithuania. Conservatives say that the fact that our current president is a woman proves that Lithuania does not need feminism. We hear this over and over again, even though President Dalia Grybauskaite has never positioned herself for or against women’s rights. The one time she spoke about this, about the Istanbul Convention, was after she met with politicians in Women Political Leaders Summit in Vilnius. And do you see transnational organizing as a potential solution to this set-up? Well, the situation is international. And we should be in touch more, especially in Eastern Europe. We recently met up with comrades from Estonia, we increasingly know people from the Ukraine, from Hungary and other places in Europe. But we should collaborate more. 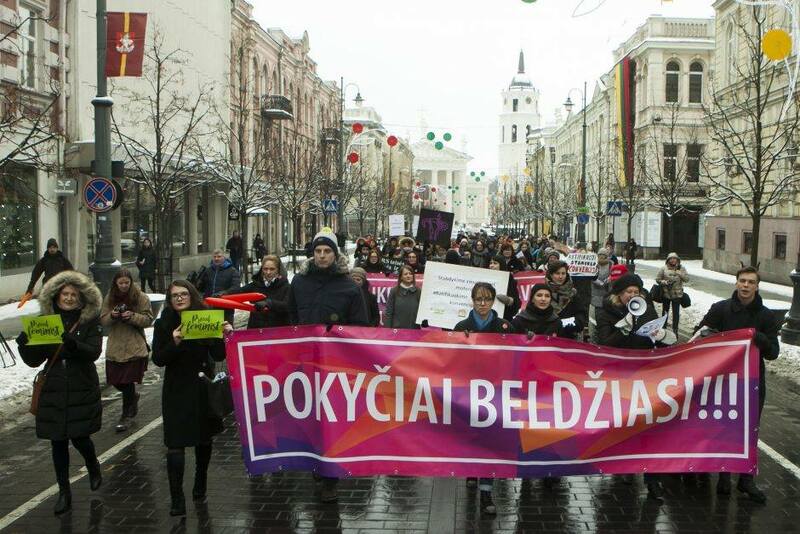 Our aim is to facilitate what we, the fragmented feminist, human rights and LGBT* movements in Lithuania and the neighboring countries, rarely have time and resources for – reflection of our actions, cooperation building and creating strategies for future fights. This is why we had this call for participants to the workshop. We have things to teach each other.